An extremely hot fire occurred inside a metal coating facility causing serious structural damage to the concrete roof of the facility. 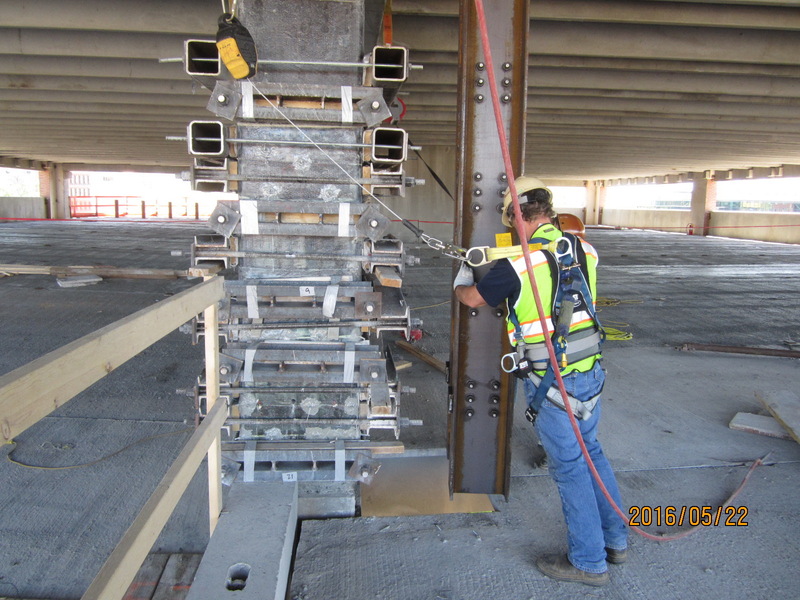 The building featured a conventionally reinforced concrete folded roof plate slab 3-1/2-inches thick. The roof spans 85 feet between supports. 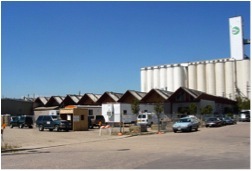 Restruction Corporation scheduled effective repair schemes and provided cost estimate for an insurance adjustment. 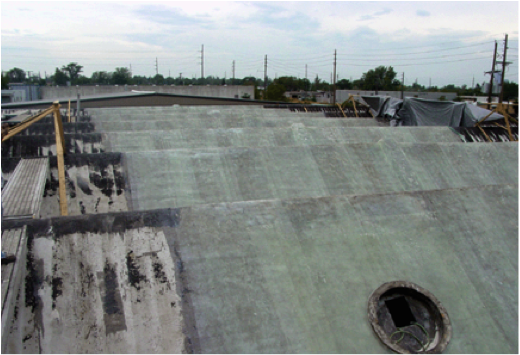 Insurance claims an require in-depth analysis to ensure the most accurate assessment when scheduling and in performing industrial structural repair. 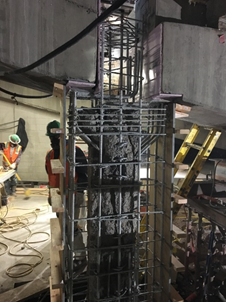 depth hydro-demolition is required to ensure the highest possible degree of concrete bond strength to the existing structure. 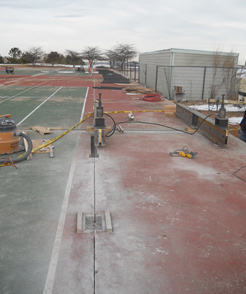 Epoxy bonded composite materials are installed to strengthen the repaired roof section in flexure. Trial repairs and subsequent trial testing proved the repair scheme effectiveness. Code analysis of the structure determined that 1950’s code for shear concrete is less stringent than current code. This is evidenced in spalling found in the shear concrete roof plate slabs. Epoxy injection is employed to bond the shear concrete spalling and provide fireproof reinforcement. Epoxy melts under high temperatures which might produce further divergence in the structures. 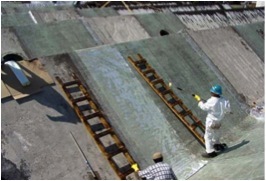 An epoxy bonded composite is installed to provide tensile strength to the shear concrete roofing. 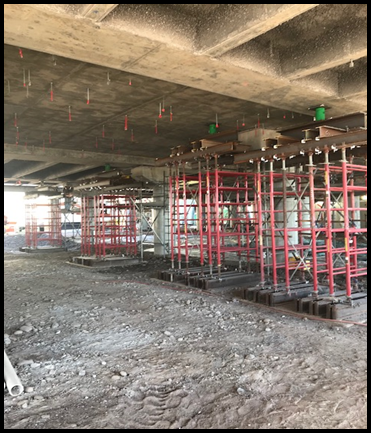 Intricate shoring, construction phasing, 7140 square feet of hydro demolition concrete repair, 60,000 square feet of epoxy bonded composite and 3150 lineal feet of crack injection was completed. 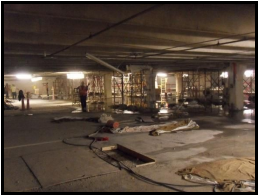 Through cooperation with both forensic engineers and insurance adjusters, Restruction managed to complete structural repairs in both a time and cost efficient approach that adhered to the stipulations set by all of the parties involved. Industrial insurance adjustments require accurate structural repair scheduling and contracting. If your building suffered structural damage or if you require commercial insurance adjustment and repair contact us today.